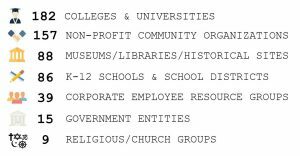 Received over 550 (and counting) requests from schools, teachers, community groups and individuals across the United States for the educational curriculum, community conversation kits and screenings of the film. 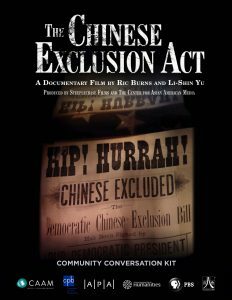 Developed a Community Conversation Kit with a discussion guide, screening tips, and other helpful tools that community groups can use to host a community screening of the THE CHINESE EXCLUSION ACT. Created an educational curriculum kit in partnership with teachers from the Bay Area and New York. The curriculum will use scenes from the documentary as part of the lesson sets. The kit has been tested in classrooms by Bay Area educators. We plan to start sharing the materials with students and teachers starting this fall.